It’s Friday guys!!! Hallelujah. I don’t know about you, but this week was a doozy for me! I was so busy, plus I think the time change just threw me for a loop. I feel like it always takes me a while to adjust to the days being shorter. And in my mind, this time change is basically the unofficial start of winter. I mean, once the days get shorter then it really starts to feel like winter, right? But I will say, it sure is nice to have all that sunshine first thing in the morning, so I guess it’s a trade off. Anyway, today I wanted to share a few random things I’ve been loving lately for Friday Favorites. I have some new makeup to share, a skincare product, some new wreaths, and a couple other tidbits. Grab your coffee and let’s do it! I’ve been using this foundation for about a month now and I absolutely love it!! 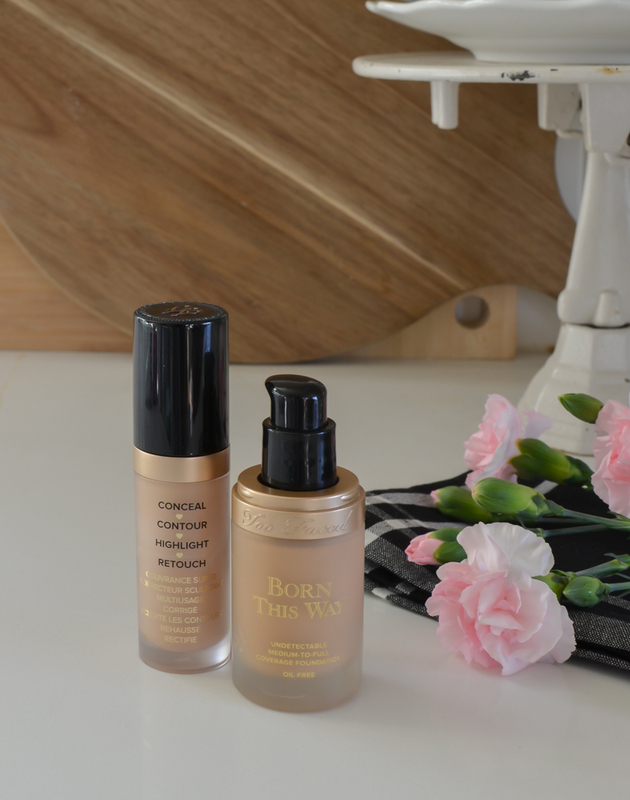 It’s definitely the best foundation I’ve ever used and I’ve tried a LOT, so that’s really saying something. It doesn’t break me out, gives great coverage, lasts all day, but it looks like skin at the same time. It also feels really light weight, which is awesome. I just wish I had tried it sooner! I also got the matching concealer to go along with it, and it’s just as great. This combo is like magic. I’m in the shade light beige for both. 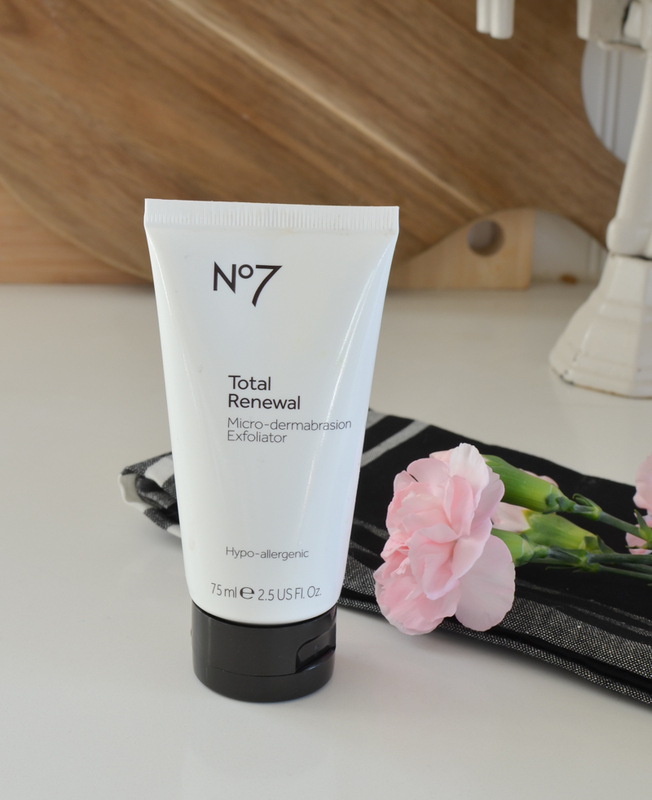 I picked up this exfoliator from Target a few weeks ago when I saw one of my favorite bloggers raving about it. She swears by this stuff, so I had to try it out for myself. And it’s the BOMB. I use it twice a week and I love it so much. And it doesn’t break me out! It is definitely a good buy if you looking for a new exfoliator. 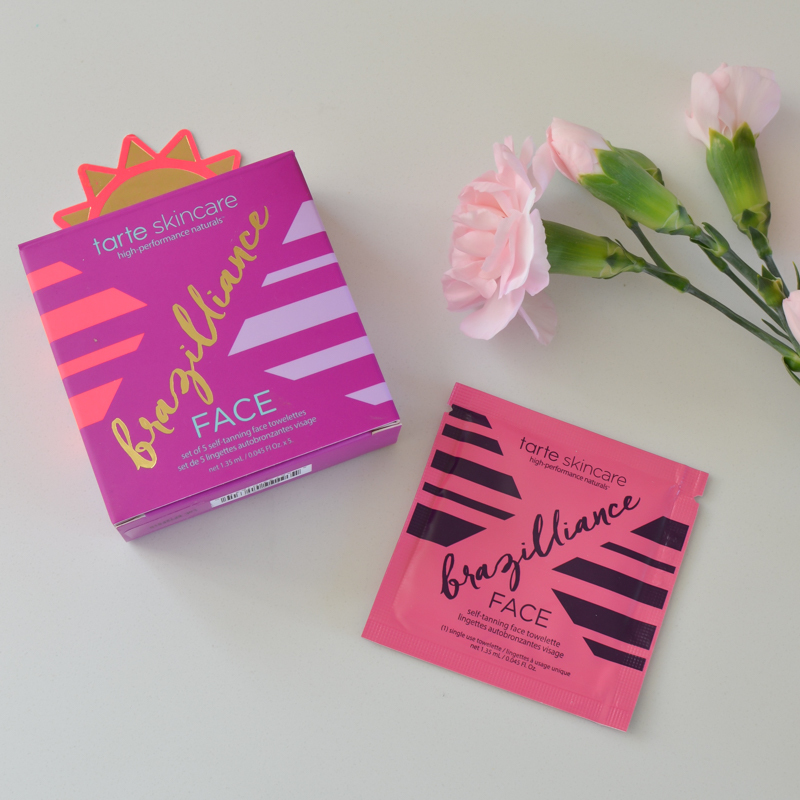 I raved about these little self-tanning facial towelettes on Instagram last week, but I wanted to mention them here too because I am obsessed with these babies. I bought them right before I went to Waco last month and they are SO good to give your face just a little bit of color. This time of year I look especially pastey, so these are perfect. They give me great color for about five days or so AND again, they don’t break me out. I LOOOOVE them. So I haven’t even started unpacking my Christmas decor yet, but I did pick up a pair of these gorgeous holiday wreaths. I put them here on the sliding doors by our TV and I am totally smitten with them. 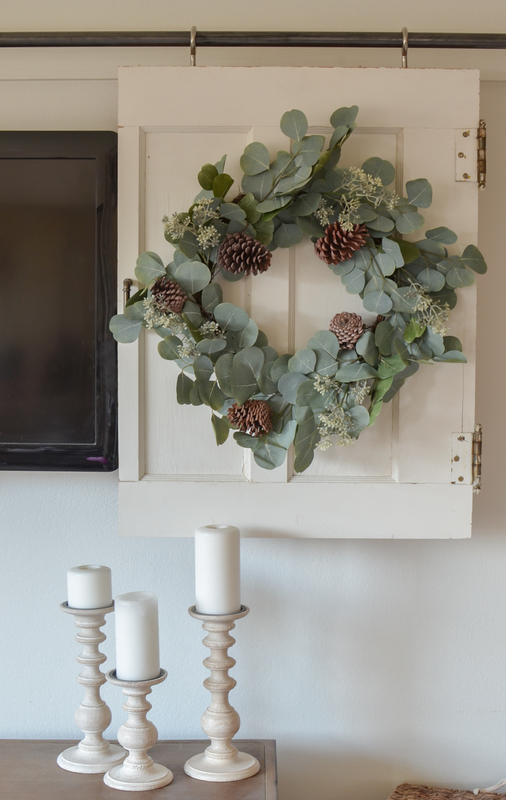 And these are great because they can easily transition from the holidays into winter decor. Plus if you really wanted to, you could even pluck the pinecones out and use them all year around. Such a great buy. Target wins again! If you follow me on Instagram, you might know that Wednesday was a big day for me. I had the chance to shoot some awesome content for Verizon Wireless. The whole experience was unlike anything I’ve done before and I cannot wait for you guys to see it!! It was definitely one of the most amazing/surreal days in my blogging career so far. God just continues to amaze me with the opportunities He brings my way. Here’s a little sneak peek of the filming set up at our house! I still haven’t started on Christmas decor yet, but I just ordered these snowflake pillow covers in black and I’m excited to get them. And if you’re looking for some decor inspiration for the holidays definitely check out this page. I updated it with all of my Christmas posts from the past few years. And also be sure to check out my new holiday decor shopping guide here too. I recently bought these eye drops to help when my eyes are irritated or red, which happens a lot here in Colorado where the air is so darn dry. And OMG–this stuff is amazing. It works better than any whitening eye drops I’ve ever tried. I’m still working on updating a few things for my rebrand and I have a fun blog refresh in the works. Eeeek! But right now I’m having issues with Facebook. They won’t let me change the name of my page from Little Vintage Nest to Sarah Joy Blog and it’s SO frustrating. I’ve put in an appeal, but it’s not looking good. So if you happen to know any higher-ups at Facebook let me know! Yesterday I felt a bit off, so I listened to this song on repeat. It’s one of my favorite songs everrrrrr. Listen to it if you need a little boost. Great post! That song is one of my favorites! I love that foundation too! I switch between that and the Young living one! I have never used concealer and I was wanting to start trying some out! Thanks for the recommendation for the Born this Way one! YAY! Happy Friday sweetie and good luck with FB!!!! Facebook can be a real pain sometimes so I wish you luck with that. Love the wreaths and the song. I’m thinking about buying one as well as well as the exfoliate. 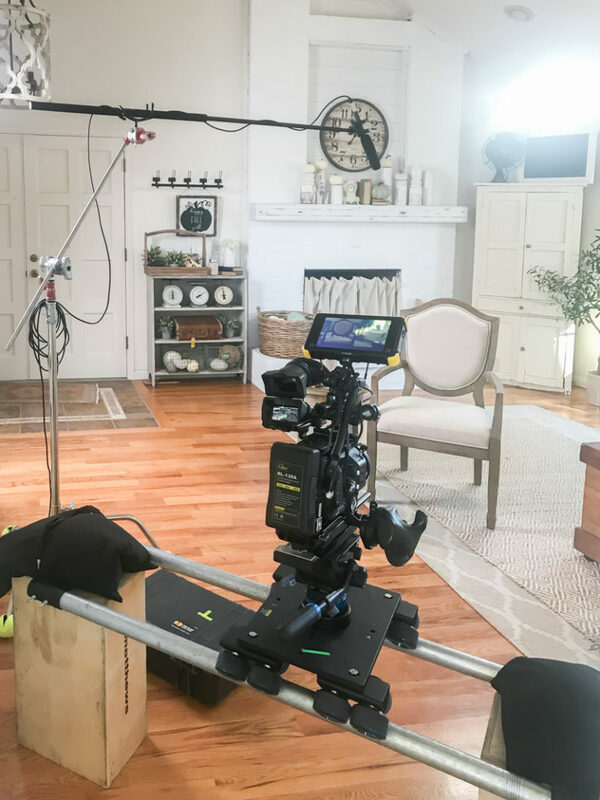 Sarah Joy…..filming day……WOW…….This is not the first time that I have said God has great plans for you. I’m so happy for you. Can you add to your FB name? Like make it Sarah Joys Little Vintage Nest? Or Little Vintage Nest by Sarah Joy? It is a frustrating site and I’m trying to wean off it completely…disappointed with what it has begun! Good luck!!! 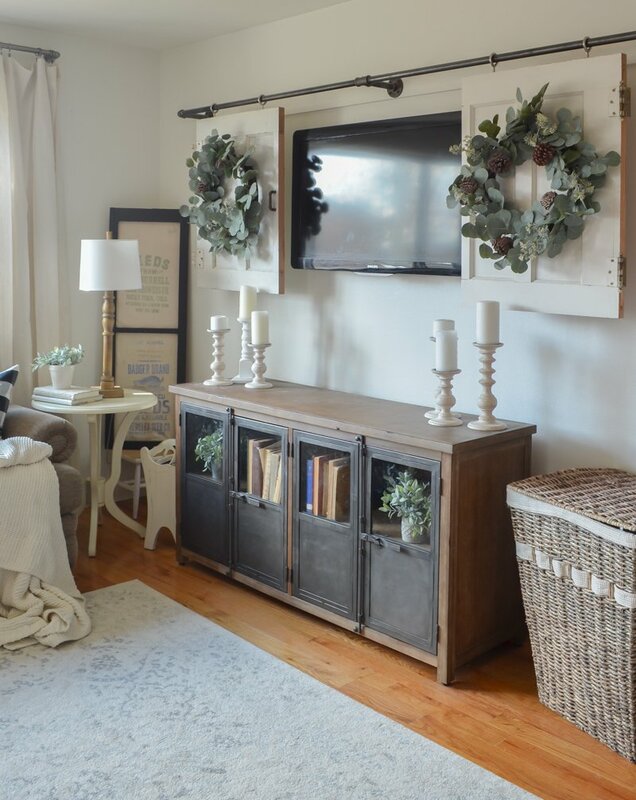 Love what you did with your wreaths! How did you get them to stay without wreath hooks? Do you use anything in particular? Those wreaths look awesome where you put them. Love when you share makeup tips. I have to ask if you have normal skin or combo or none of my business? I have oily skin so I’m always trying to find foundation that stays.